This node creates terrains from an RGBA file. 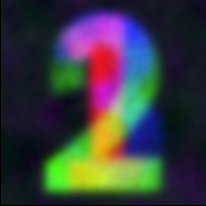 The image is transformed into gray levels, each pixel having a value between 0 and 1. The generated terrain has the resolution of the image as its size, and the height of each point depends on its gray level and the scale of the heights (vertices with a 0 value will have their height set to the min value, and vertices with a 1 value will have their height set to the max value). 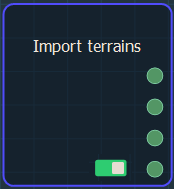 To add a node, right click in the Graph Editor and select Create Node > Import > Import terrains from RGBA file. 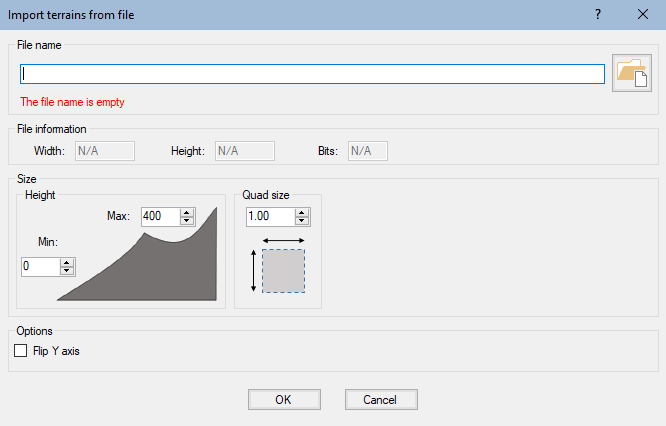 Click on the folder button and browse to the file you want to import, or type the directory of the file to import. The bitmap file composed of the equivalent of a heightmap per channel (1 is the red channel, 2 is the green channel, 3 is the blue channel, and 4 is the Alpha one channel) is imported. 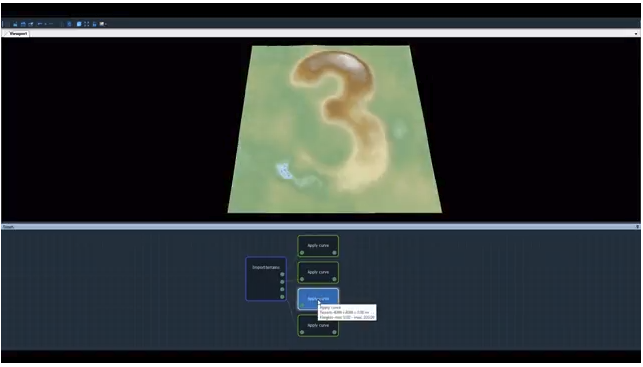 Watch our Import terrains from RGBA file node video tutorial.